32. 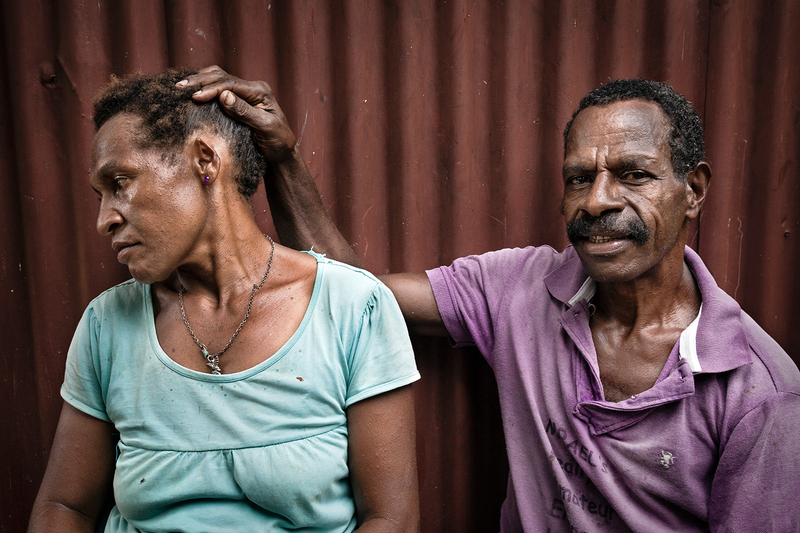 Richard Bal shows off the disfigured ear of his wife, Agita, in their house in Port Moresby. In December 2010, after coming home drunk, Richard took a bush-knife and cut off half of Agita’s left ear. He spent one night in the police station and was released the next morning due to “insufficient evidence” to initiate criminal proceedings. Agita’s relatives did not allow her to leave Richard, having received 500 kina compensation from him for the “potential damage” caused.